California Home Sales Rebound in February, Says C.A.R. 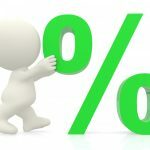 The 4% Mortgage Is Back! Buyers get a break. The Federal Reserve voted to keep the benchmark federal funds rate steady during its second policy meeting of the year on Wednesday, also signaling that there will be no hikes for the remainder of 2019. In a move that was widely expected, policymakers at the U.S. central bank unanimously agreed to leave interest rates unchanged at a target range of 2.25 percent to 2.5 percent in light of global economic and financial developments, as well as muted inflation. “The Committee will be patient as it determines what future adjustments to the target range for the federal funds rate may be appropriate to support these outcomes,” the Fed said in a statement released following the two-day meeting. It marks a stark turn from its December meeting three months ago, when Fed Chair Jerome Powell suggested there could be as many as two interest rate hikes this year and one in 2020. Now, policymakers forecast one rate hike in 2020 and none in 2021. In recent months, Powell and the Fed have appeared to take a more dovish approach to interest rates amid concerns about slowing global growth — a result of a more than year-long trade war between the U.S. and China and uncertainties about Brexit. Although Powell said policymakers still anticipate an overall positive outlook, the Fed lowered its expectation for growth and inflation, while simultaneously increasing its forecast for unemployment, suggesting a weak labor market in the year ahead. Kapfidze suggested there was still the possibility of rate hikes in the year ahead, particularly if growth accelerates and unemployment remains low. For consumers, the steady interest rate outlook can be both good and bad news, according to Curt Long, the chief economic and vice president of research at the National Association of Federally-Insured Credit Unions. “It kind of depends on which side of the fence they’re on,” he told FOX Business in February. “If you’re potentially going to be a borrower in the near future, the fact that the Fed seems determined to be patient, in their words, is probably good news. It means rates will probably stay lower than they would have otherwise. On the other hand, if you’re a saver, that might not be as good of news for you. Copyright © 2017 Rod Bairos Real Estate | All Rights Reserved | Web Design by WEBSHOCK MEDIA.